Signify, the Netherlands-based provider of conventional, LED, and connected lighting(formerly Philips Lighting), for one, is providing LiFi-enabled LED fixtures that enable users to send email, access the company network and surf the internet through lights. As an alternative or complementary technology to WiFi for specific applications, LiFi is said to be able to offer 10,000 times the spectrum of WiFi. In a press statement, Signify explained that LiFi offers two-way, high-speed wireless communication like WiFi, but instead of using radio signals it uses light waves to transmit data. “Signify’s LiFi-enabled Philips office lighting fixtures have a broadband connection speed of 30Mb per second without compromising lighting quality. This speed is enough to stream simultaneously several HD quality videos while holding a video call,” it said. Trials for the technology are on the rise in Asia, according to Signify. Signify announced recently that in Singapore, Republic Polytechnic will install LiFi in its Smart Devices Lab. It said the school intends to give its students new learning opportunities and broaden their exposure to smart lighting technologies. The Polytechnic is the first institute of higher learning in Southeast Asia to adopt LiFi. In the months to come, smart lighting technologies may become more common in Singapore as conditions in the city state are considered ideal for emerging technologies. In January, FutureIoT reported that autonomous vehicles, smart lamp posts, faster internet are part of Singapore's IoT roadmap. An IDC report released in February also stated that Singapore is poised to spend $1 billion on smart city program during the year. In Bangalore, managed offices provider Incubex has also established a LiFi meeting room to enable startups and firms it serves to explore the technology, according to Signify. Alap Uttamchandani, Founder of Incubex, said that since the company’s inception, they’ve been actively experimenting with and promoting new technologies. “We’re giving our 450 plus members at our Manya Tech Park hub, and more than 3,500 members at our 10 other hubs, the opportunity to be the first to get hands-on with this new technology,” he said. So far, we’ve had great feedback and received lots of inquiries from our members,” he added. 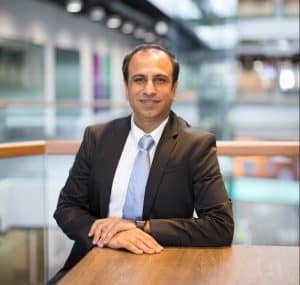 Jitender Khurana, General Manager for Signify in Singapore, Myanmar and Emerging Markets, told FutureIoT in an email interview that across Asia, the company is seeing a growing interest in connected lighting. He said the company’s Interact IoT platform introduced last year is now being deployed for smart street lighting in Jakarta and Melaka, CPG Consultants in Singapore, Swissotel the Stamford in Singapore, Nhat Tan Bridge in Hanoi, and Optus Stadium in Perth, to name a few. “In Southeast Asia alone, the internet economy is estimated to exceed US$240 billion by 2025, according to Google and Temasek’s e-Conomy SEA 2018 report. With more people and things connected online, Asia can definitely benefit from our IoT lighting solutions,” he said. The Interact IoT platform allows companies to collect insights from their LED lighting, embedded sensors, and IoT devices. “The rise of the Internet and IoT also presents a huge opportunity for our LiFi technology as radio frequencies used by WiFi technologies are bound to become more congested, and secure data access becomes an increasing concern,” he said. 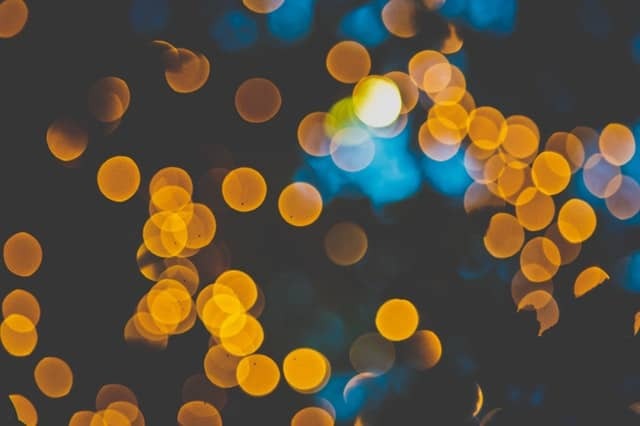 “With light being all around us, LiFi is an under-tapped resource where light waves can be used to transmit data, and light offers a bandwidth suitable for stable, simultaneous connection of a vast array of IoT-enabled devices. In other words, LiFi is a viable alternative for reliable, stable and secure network access,” he added. In its latest financial report, Signify said its installed base of connected light points increased from 30 million at yearend of 2017 to 44 million at yearend of 2018. Khurana said the company has indeed come a long way as an advocate of energy efficiency. Michel Germe, Head of LiFi at Signify, said in a media statement that the company had installed LiFi in 26 buildings across the world. Installing new or switching to connected LED lighting can achieve three-fold benefit, according to Khurana: energy and utility bill savings, sustainability, and connected or intelligent lighting allow cities, businesses, and consumers to interact with connected devices through data from lighting. “For instance, with businesses, the data collected from how end users interact with lighting will also offer trends, insights on how they can improve customer and guest experience in retail and hospitality or employee well-being and space usage at offices,” he explained. It’s also ideal for use in environments demanding high security as it adds an extra layer of security as light cannot pass through solid walls and a line-of-sight to the light is needed to access the network.